Many factors go into getting good sound in a stereo or home theater listening environment. 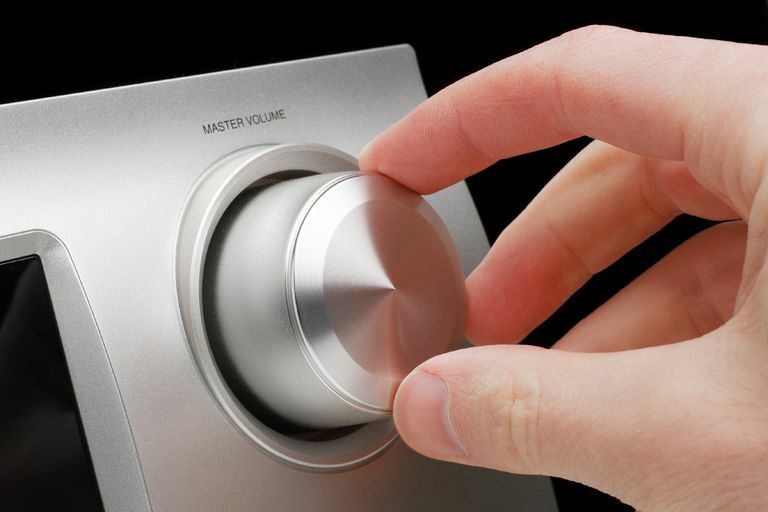 The volume control is the main way that most find a comfortable listening level, but it can't always do the whole job. Dynamic headroom, dynamic range, and dynamic compression are additional factors that can contribute to listening comfort. Dynamic Headroom — Is Extra Power There When You Need It? For room-filling sound, a stereo or home theater receiver needs to put out enough power to your speakers so you can hear the content. However, since sound levels constantly change throughout musical recordings and movies, the receiver needs to adjust its power output quickly in a consistent manner. Dynamic headroom refers to the ability of a stereo/home theater receiver, or amplifier, to output power at a significantly higher level for short periods to accommodate musical peaks or extreme sound effects in films. This is especially important in home theater, where extreme volume changes occur during the course of a film. Dynamic headroom is measured in Decibels (dB). If a receiver/amplifier has the ability to double its continuous power output capability for a brief period to accommodate volume peaks, it has 3db of dynamic headroom. However, doubling the power output does not mean doubling the volume. In order to double the volume from a given point, a receiver/amplifier needs to increase its power output by a factor of 10. This means is that if a receiver/amplifier is outputting 10 watts at a specific point and a sudden change in the soundtrack requires double the volume for a brief period, the amplifier/receiver needs to be able to rapidly output 100 watts. Dynamic headroom capability is baked into the hardware of a receiver or amplifier, and cannot be adjusted. Ideally, a home theater receiver that has at least 3db or more of dynamic headroom is what you'd be looking for. This can also be expressed by a receiver's peak power output rating — for example, if the peak, or dynamic, power output rating is double the amount of the stated or measured RMS, Continuous, or FTC power rating, this would be an approximation of 3db dynamic headroom. In audio, dynamic range is the ratio of the loudest un-distorted sound produced in relation to the softest sound that is still audible. 1dB is the smallest volume difference that a human ear can detect. The difference between a whisper and a loud rock concert (at the same distance from your ear) is about 100dB. This means that using the dB scale, the rock concert is 10 billion times louder than the whisper. For recorded music, a standard CD is capable of reproducing 100db of dynamic range, while the LP record tops out at about 70db. Stereo, home theater receivers, and amplifiers that can reproduce the dynamic range of a CD or other source that can produce such a wide dynamic range are very desirable. Of course, one problem with source content that has been recorded with a wide audio dynamic range is that the "distance" between the softest and loudest portions can be irritating. For example, in poorly mixed music, a vocal may appear to be drowned out by the background instruments and in movies, the dialog might be too soft to be understandable, while the special sound effects may not only overwhelm you but your neighbors, too. This is where Dynamic Compression comes in. Dynamic compression does not refer to the types of compression formats used in digital audio (think MP3). Instead, dynamic compression is a tool that allows a listener to change the relationship between the loudest parts of the soundtrack and the quieter parts of the soundtrack when you are playing a CD, DVD, Blu-ray Disc, or other music file format. For example, if you find that explosions or other elements of a soundtrack are too loud and dialog is too soft, you would want to narrow the dynamic range present in the soundtrack. Doing so will make the sounds of the explosions not quite as loud, yet the dialog will sound louder. This will make the overall sound more even, which is especially useful when playing a CD, DVD, or Blu-ray Disc at low volume. On home theater receivers or similar devices, the amount of dynamic compression is adjusted using a setting control that may be labeled dynamic compression, dynamic range, or simply DRC. Similar brand-name dynamic compression control systems include DTS TruVolume, Dolby Volume, Zvox Accuvoice, and Audyssey Dynamic Volume. In addition, some dynamic range/compression control options can work across different sources (such as when changing channels on a TV so that all the channels are at the same volume level, or taming those loud commercials within a TV program). Dynamic headroom, dynamic range, and dynamic compression are important factors affecting the range of sound volume available in a listening situation. If adjusting these levels doesn't fix the problems you are having, consider looking into other factors like distortion and room acoustics.